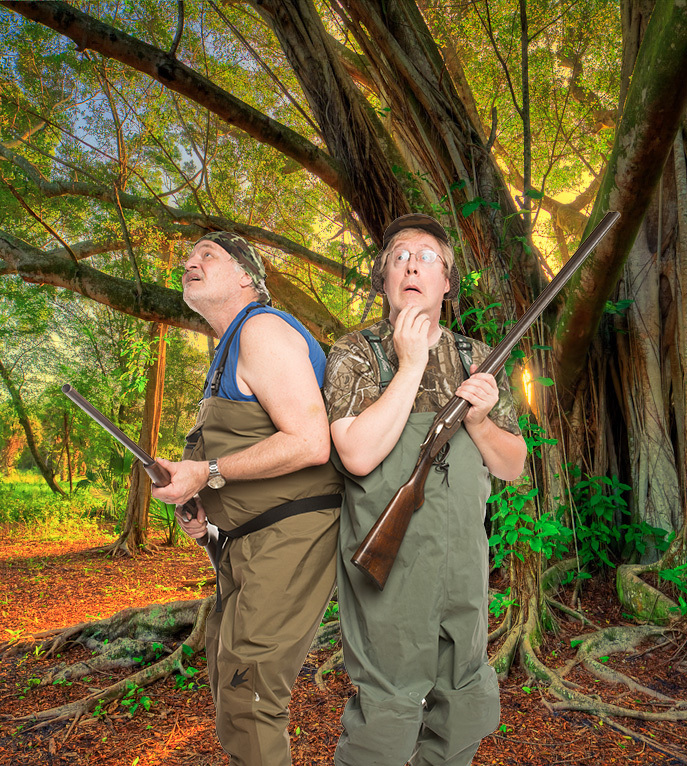 DUCK HUNTER SHOOTS ANGEL is the uproarious story of two bumbling Alabama brothers who have never shot a duck but think they shot an angel. As they lament their fates in a murky swamp, they are chased by a cynical tabloid journalist and his reluctant photographer, who don't believe any of it—until feathers, wings and a tiara are discovered along the way. The play hysterically interweaves a love story, sibling rivalry, tawdry media, race relations and cultural stereotypes as the chase to find the angel builds to a crescendo in the swamp. Ultimately a sweet allegory about redemption, DUCK HUNTER SHOOTS ANGEL has been hailed by audiences as a rare comedy with a surprisingly heartfelt lesson.